"Joe McPhee: Not selling out since 1967". This was something I jokingly said to a friend a few years ago. Luckily, it still stands. McPhee is 74 years old and continues to shine. He is one of the oldest American jazz icons. You many know him from his work with a multitude of musicians: Pauline Oliveros' "Deep Listening Band", Peter Brotzmann, William Parker, Ken Vandermark, Evan Parker, Mats Gustafson, Jeb Bishop, The Thing, etc. He is a good example of the effect American jazz has had on Europe. Due to his success there, he's never had to sign to a major American label. With the latest project, he continues to explore. This time, in a phenomenal trio that includes Michael Zerang on drums, and Fred Lonberg-Holm on electronics. 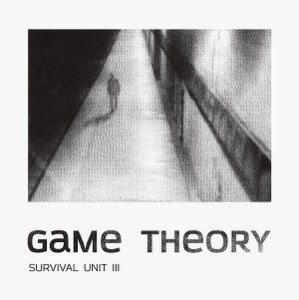 "Game Theory" is four tracks of predominantly reserved and controlled experiments. Though intense and busy, it still comes across as meditative, i.e., minimal on the "Brotzmann Bursts". These three know each other extremely well and they definitely push the limits of control. Forward thinking music doesn't get any better than this.